“There’s lots of bad reasons to start a company. But there’s only one good, legitimate reason, and I think you know what it is: it’s to change the world.”- Phil Libin, CEO of Evernote. Our list for top entrepreneurs of northern extraction focuses on individuals that have been able to distinguish themselves in creating ventures that have empowered people and created platforms across northern Nigeria. The objective of this list is to create awareness for northern entrepreneurs that are working tirelessly to create brands that add value to northern Nigeria and the country at large. This list should also serve as a platform for entrepreneurs from other parts of the country to identify northern entrepreneurs to collaborate with in exploring opportunities. Nishadi.tv team acknowledges the fact that there are young northerners, doing great things in other sectors of the economy; however, the focus of this list is on those who have sustained the spirit of entrepreneurship. 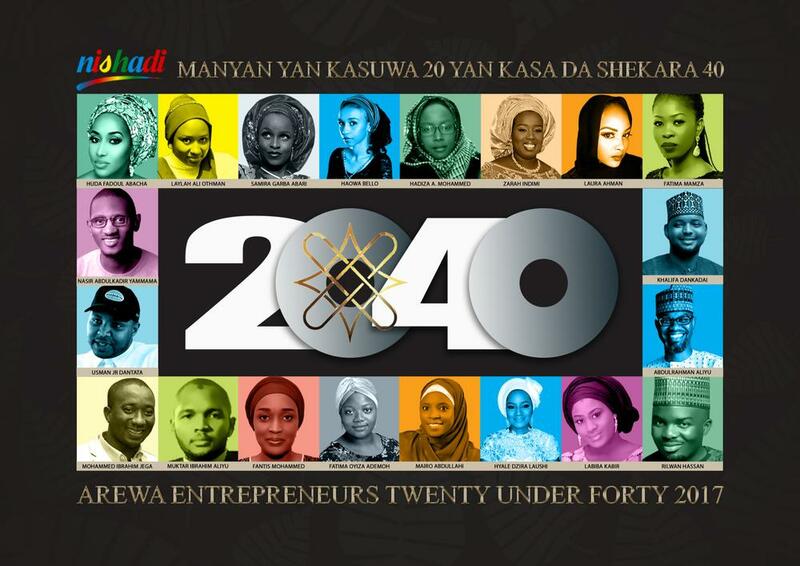 This list of the top twenty entrepreneurs under the age of forty, are those who have carved a niche for themselves and started their ventures from the ground to the success stories that they are today. Hauwa is a self-proclaimed bag enthusiast and the CEO of “Madame Coquette” a line of luxury handbags made in Nigeria. With minimal use of machinery, she uses traditional handbag making methods and tools to produce a variety of high quality leather bags and purses. The quality of her products can be compared to high-end brands in the fashion world due to the meticulous nature in which they are finished. This talented young business woman has expanded her label to North America, Europe and the rest of Africa. However even with her vast recognition, Hauwa is highly committed to promoting artisanship and skill development in her community. Her brand is truly a reflection of heritage and character. He was a international banker and commodities trader but currently one of the most successful young farmers in the country. Anadariya farms is a trusted provider of food and agricultural products in emerging markets. They are a fully vertically integrated organization with assets including significant agricultural land, grain storage facilities, feed manufacturing, livestock production, food processing, warehousing and logistics. He is a man with a dream to change his country and business world at large. A chartered accountant and serial entrepreneur, Hadiza had a stint working abroad before returning back to the country to work for Microsoft Nigeria and Central Bank of Nigeria. Having a flair for entrepreneurship, she returned to the firm she co-founded Bilyak consulting; one of the top revenue generators for mobile operators in Nigeria. She has been active in expanding the business of the company to many African countries including Cameroon, Nigeria, Swaziland and South Africa. 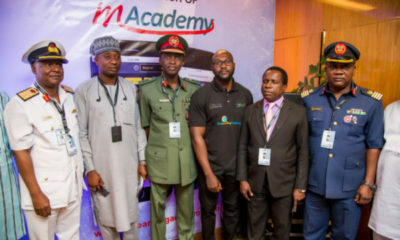 Hadiza is also the founder of a mobile learning platform www.mylearningacademy.com, that has made learning easy for everyone. In the past year, she also started a seed funding platform, which has given grant to young entrepreneurs to start businesses of their own. Some of the products that have come out of that platform are: www.nishaditv.com, an on-demand Hausa entertainment platform, the pre-teens learning free app on iOS and Android, the first trade by barter platform in the country that is about to go live www.arowora.com and a business directory platform www.yourbusinesshive.com. She recently started an educational grant on the mAcademy and the Alfalah platforms to support students and also runs a Hub which caters for start-ups and growth stage businesses. As a daughter of an entrepreneur, Zarah has taken a tip or two from her father to start a venture of her own from the very start to the success it is today. As a restaurateur, her restaurants can be considered as one of the best place to eat if you are in Abuja. They cater for a variety of customers and offers both local and international cuisines. She has further expanded Tulip Bistro to several locations; gaining more customers and creating job opportunities along the way. Hassan has over 16 years’ experience in entrepreneurship, media, and farming. This is an entrepreneur who had a vision and ran with it. He served his country as a member of a ministerial committee on Madrasah Education, which helped build the current blueprint used in creating access to both Western and Islamic education in northern Nigeria. Hassan shows his passion for education through his foundation “Sardauna Child Foundation”, that caters for the education and general wellbeing of orphans taken off the street to the classrooms in various states. He is Currently the Managing Director of Focal Point Group with interest in cleaning, construction, agriculture, publishing, and printing; he is indeed changing the business world one idea at a time. Entrepreneurship is a mix of insight, passion and determination, Abdulrahman has certainly got them all. A serial entrepreneur who has various ventures under the Zavati Group brand, he seeks to leave his mark on a number of industries. The Zavati Group focusing on construction, energy, food, financial services and investments. He is an entrepreneur that has diversified his investments, focused strongly on charity and promoting younger entrepreneurs through his leadership program. Laura Ahman is an emerging Nigerian shoe Brand that was established in February 2014. Being one of the best shoemakers in the North and the country at large, Laura Ahman’s young but remarkable career over the years has shown the importance of being focused and determined in achieving your dreams. Her eclectic style is easily translated into her work making her a favourite in the country. All their products are handmade by a team of skilled craftsmen using local leather and materials sourced from Northern Nigeria. Apart from being an enthusiastic businessman, he is Creative Technologist. He was opportune to be part of a business masterclass under Sir Richard Branson in 2014 which gave him more insights into entrepreneurship. Nasir’s career as an entrepreneur began with a bang with his firm Verdant Agri-Tech, that offers solutions to support farmers and other stakeholders in the agricultural value chain; for improved food production using novel technologies. Not only was he able to provide a solution to the agricultural sector in the country, he is a mentor to many youths who seek guidance in entrepreneurship and ICT. Laylah is the CEO of one of the most patronized interior design company (L and N interiors) in Abuja. This young lady is not only good at expressing her creativity in her designs but also at expressing her opinions on societal and marital issues affecting woman in her society. With over ten years of experience, she has been able to train youths in the art of interior design and provide job opportunities to many. She has also expanded her dynasty to include a magazine publication that was recently launched. She is the founder of Ajima Youth Empowerment Foundation and has over five years of experience in business development, entrepreneurship, agribusiness, and more recently, the energy sector. Fatima is currently the project manager for the US African Development Foundation-funded off-grid energy project implemented by Ajima Farm in Nigeria. She is an entrepreneurship and finance lecturer at Baze University in Abuja, is a volunteer for the Tony Elumelu Entrepreneurship Program (TEEP), where she mentors TEEP finalists across Africa during their entrepreneurial training. Huda Fadoul Abacha is the Luxury Couturier & founder of Hudayya Bridal Emporium, a leading Bridal Couture company in Nigeria. She has a keen eye for designing exquisite wedding dresses and exclusive luxury pieces. As a mentor to many, Huda does not withhold her knowledge and skill, rather she has created a fashion school where young people can learn the art of fashion and improve their lives. The proof that her dream held promise can be observed in the rainbow of shades, patterns and geometries that adorn her every design. Fantis Mohammed who is a native of Borno state, is the co-founder of Hmagnet, the founder of Santi Food and CEO of the fashion company Nowrie. Santifood Co, is a food and beverage processing company based in Abuja and it is on a mission to be the best food processing company in the north. As an owner of a fashion brand, she has created a brand that resounds modesty among women. Fantis is also very passionate about women in business and provides business opportunities and mentorship for women in the north. In the fashion world where women’s wear reigns supreme, fashion stylist Labiba Kabir has broken the glass ceiling with her edgy collection of stunning fabrics. With no prior business experience but a hell of a dream (and an eye for fashion), Labiba successfully turned her dream into reality; therefore, giving birth to the brand Asoebi Couture. Her vast knowledge in the fabric and beading has played a major role in the northern fashion industry today. This knowledge and drive has made Labiba the go-to person for bridal fabrics in the north. We like to think of her as the pioneer of wedding event management and designing in Abuja. She is one of the most exciting, forward-thinking event planners in the industry today. 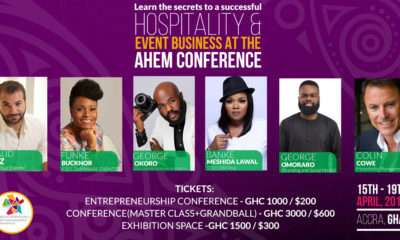 With her vast experience, this talented lady constantly organizes skill development programs that equips aspiring event planners from all parts of Africa. Over the years she has proven time and time again that she can provide the event that you want, the way you want it. A philanthropist, business consultant and an entrepreneur focused on comprehensive human capacity development for African youth & women. Khalifa believes that everyone especially the “almajiri child” should have access to education and skill development, so the society can grow and function effectively. He is an entrepreneur who has positively touched the lives of the youth and women in the North. Mamza Beauty limited is an innovative makeup and beauty firm, currently based in Abuja, Nigeria. 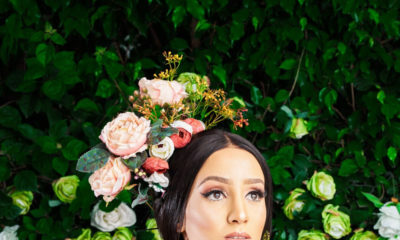 Fatima Mamza’s natural ability to make clients not only look beautiful, but feel beautiful has made her a favourite among celebrities and females in the country. In addition to the diverse makeup services provided to her clientele, she also offers beauty tips, consultation services, and wide variety of basic skin care, general health and well-being guides. Inspired by photography, fashion, art, history and culture, the Mamza Beauty brand thrives to establish a signature look for its numerous clients while staying on the cusp of beauty and fashion trends. The founder and CEO of Patooty Nigeria enterprises has changed the beauty industry in the north with the production and marketing of natural coconut oil and shea butter. Her company Patooty has a dynamic online platform which allows them to reach customers conveniently and effectively worldwide. This young entrepreneur has stood against all odds to create a name for herself in the beauty industry, and has become a household name in Nigeria; therefore, gaining many recognitions for her work with bigger companies and NGOs. As a Technopreneur, Social Activist, Business Development Manager Africa at Vogue Pay and Founder of StartUpArewa; Mohammed is a man with a vision that seeks to break barriers and take entrepreneurship to a new level in northern Nigeria. Through his business, he has been able to provide funds for start-up companies and encourage youths to use technology in building their business. This young entrepreneur has spent the past couple of years taking his brand “Urban Abode” from ground zero to the success story. In an industry where getting tastefully finished building is a scarce commodity, the real estate firm Urban Abode has set itself apart. As an architect, he has built a reputation for designing only the best residences, in the best possible locations in Northern Nigeria. Mention the words “kamu decor” to anyone from the north and you will hear the name “Mairo Abdullahi”. She is known for the most innovative designs and cutting-edge setups that recreate a classic northern setting for her events. Her persistence in creating only the best and concentration on the smaller detail continues to result in the most grand and fabulous works of art ever imagined. With style, elegance and creativity she has created a vision, which has transformed the northern traditional event industry. Hahahahaha! what a hot mess… Only rich kids i see here! Na so!